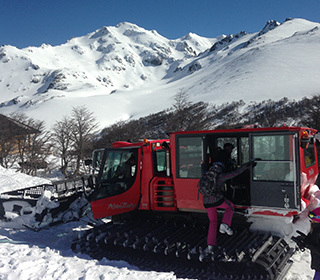 Baguales Mountain Reserve, Argentina’s newest snowcat operation, is a privately owned 14,000-hectare (Yes that is 34,500 acres) snowy playground with up to 3000 vertical foot descents. This pristine mountain paradise is only an hour and a half from Bariloche and offers very sophisticated lodging in the wilds of Patagonia. The name Baguales is an Argentine word for a wild cow that roams the hills and grasslands of Patagonia. 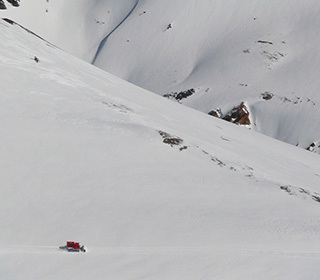 A remote gaucho outpost, Baguales is situated in the rugged Patagonian Andes and is accessed via 4×4, snowmobiles and its 2 Piston Bully snow cats. Tucked into these remote mountains are Baguales’ upscale mountain lodges, which serve as base for their massive terrain. 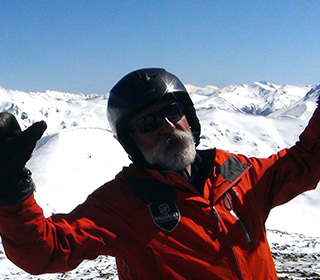 Baguales offers the largest backcountry cat skiing terrain in Argentina. Using Cats to get to the top of the slopes was a decision made with a clear purpose: preserving the mountainside. It enables skiing in virgin forests without traditional ski lifts (which in the long term, destroy the surroundings in addition to ruining views), with no traffic and no waiting in line. 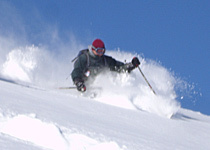 Ski outings are done in two Cats, which carry 12 guests plus 2 highly qualified guides each. 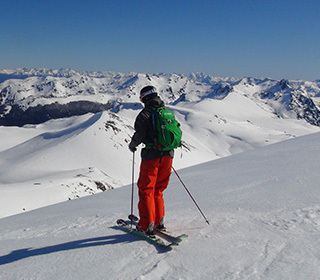 The skiing area is three times larger than areas at classical South American ski centers, and caters to only 28 skiers per day. The unrivalled feeling of exclusiveness, freedom and energy of this experience will remain forever with those who enjoy it. Guests really feel that they are lords and ladies of the mountain!